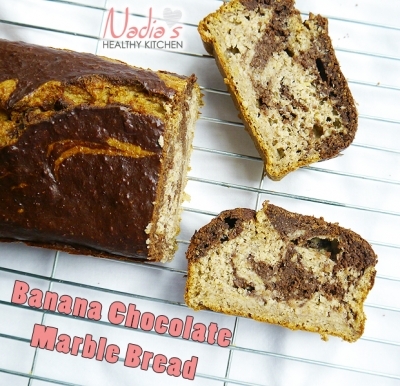 It's like mixing banana bread with marble bread! Both of which I absolutely love. Using the end of a sharp knife (or anything long and fine like a toothpick), start swirling! Make sure not to overdo it though otherwise youâ€™ll just end up mixing the 2 batters.